There's also a low-cost Windows 10 detachable with LTE. If it wasn't already clear that Lenovo is trying to cover every conceivable tablet niche, it is now. 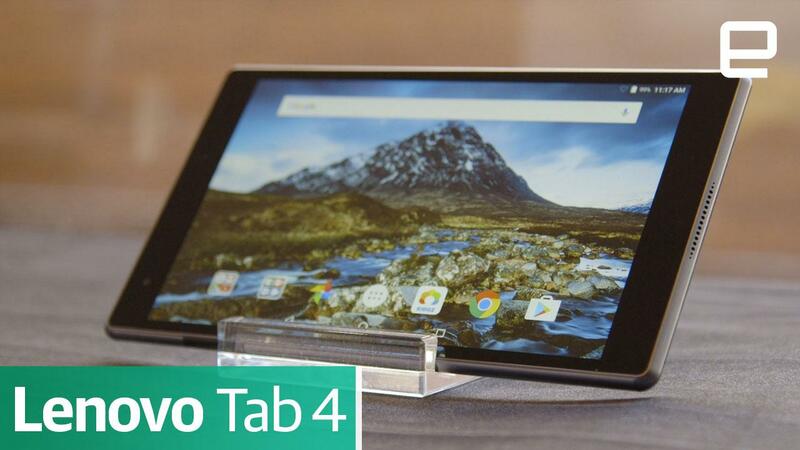 The tech giant has just introduced Tab 4 and Tab 4 Plus models that theoretically please everyone on a budget, ranging from parents to the productivity-minded. The 8- and 10-inch editions in each range can use an optional Kids Pack (a shock-resistant case, screen protectors and a blue light filter) to ready themselves for your little one's playtime. Suddenly, Amazon's Fire HD Kids tablets have fresh competition. And if you spring for one of the 10-inch tablets, there's a Productivity Pack whose Bluetooth keyboard and matching case automatically switch you to a work-oriented mode. No one will mistake the combo for a Surface, but it should be enough to get some quick office work done. The two lines share little in common besides screen sizes and add-ons. The standard Tab 4 models have basic 1,280 x 800 displays, entry-level Snapdragon 425 processors, 2GB of RAM, 16GB or 32GB of storage, 5-megapixel rear cameras and 2-megapixel front shooters. You'll probably want to spring for the Tab 4 Plus instead -- both Plus variants have 1,920 x 1,200 screens, speedier Snapdragon 625 chips, 3GB or GB of RAM, up to 64GB of storage and fingerprint readers. The Plus models both felt sturdier and more premium during a recent demo at Mobile World Congress, thanks to the glass covering on their backs. There's also an option for LTE data on all four slates. You'll have to wait until May to get any of these devices, but they're definitely affordable. 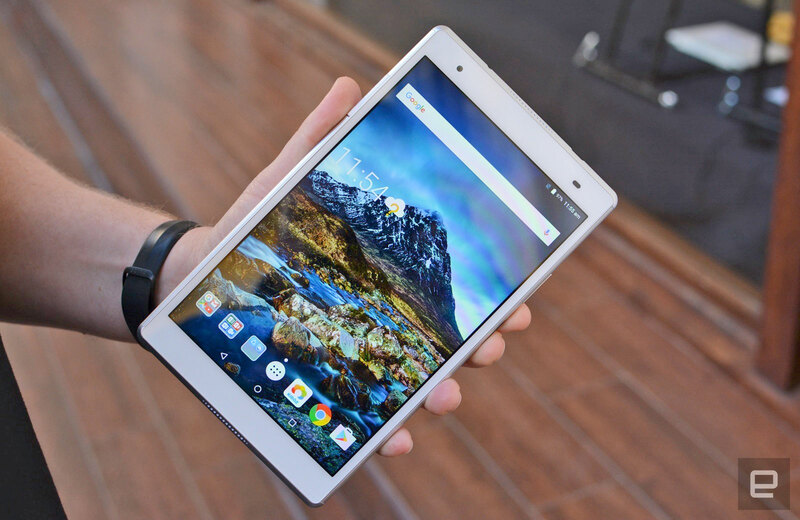 The entry Tab 4 series tablets cost $109 and $149 in their 8- and 10-inch forms, while even the Plus versions are still frugal at $199 and $249. The add-ons aren't that pricey, either. The Kids Pack costs $20 or $25 depending on your tablet size, and the Productivity Pack, which offered decent key travel at the recent demo, is still reasonable at $50. If you prefer Windows 10, there's a low-cost tablet waiting in the wings. The 10-inch, keyboard-equipped Miix 320 won't blow anyone away with its 1,920 x 1,200 display, Atom X5 processor, 4GB of max RAM, 128GB of peak storage, 5-megapixel rear camera and 2-megapixel front cam. However, it starts at an entirely reasonable $200. And did we mention that there's the option of LTE here as well? If you're just looking for the essentials in a detachable Windows PC and think you might need cellular access, this may be worth putting on the short list. Cherlynn Low and James Trew contributed to this report.